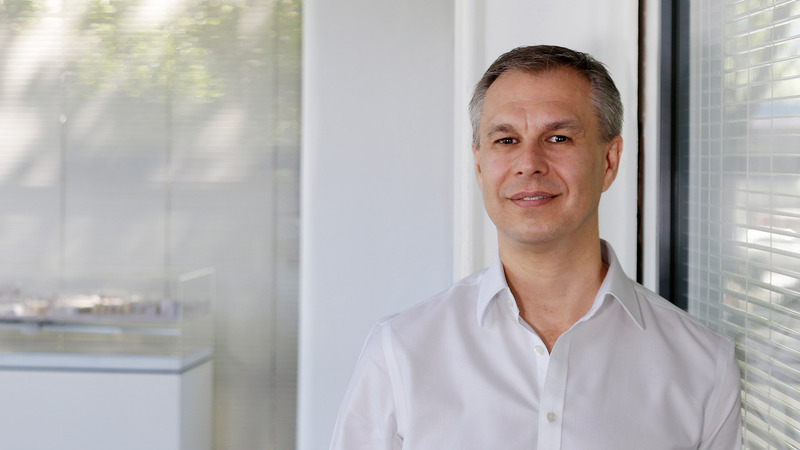 THIS FACILITY ACTS AS AN IMPORTANT GATEWAY TO TRAFFORD, WELCOMING VISITORS TO ALTRINCHAM AND HELPING STIMULATE THE ECONOMIC DEVELOPMENT OF THE TOWN. 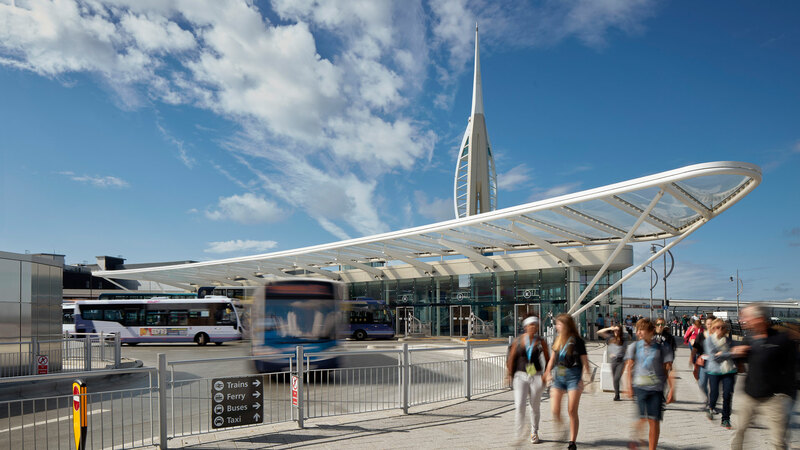 THE OBJECTIVES OF THE DESIGN WERE TO PROVIDE A FULLY INTEGRATED AND ACCESSIBLE TRANSPORT HUB WITH SIGNIFICANTLY BETTER FACILITIES AND IMPROVED SAFETY AND SECURITY FOR PASSENGERS. 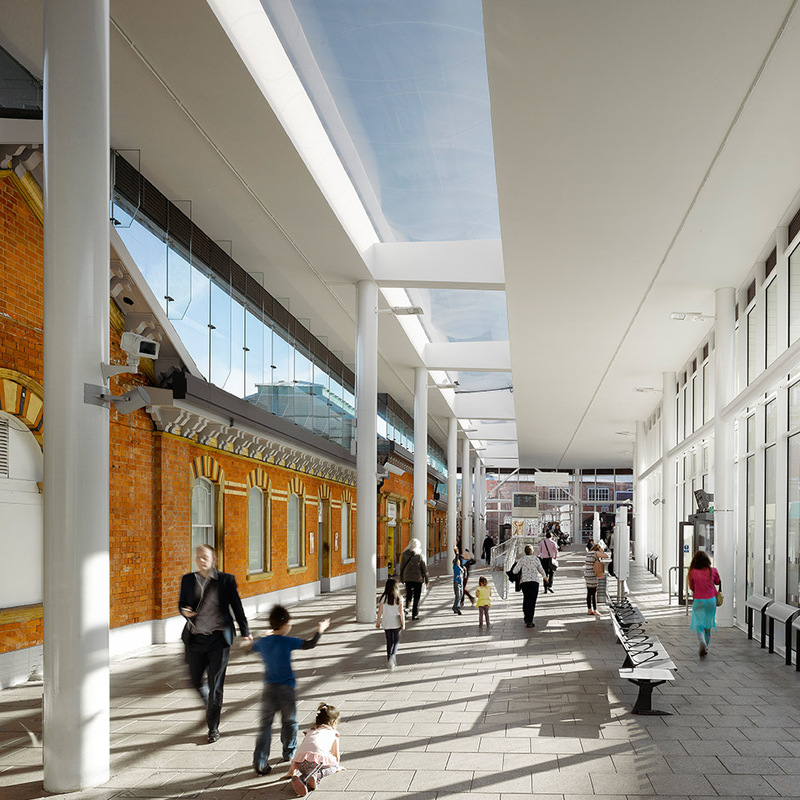 A BRAND NEW INTEGRATED TICKET OFFICE, MODERN CONCOURSE, UPGRADED CCTV AND PASSENGER INFORMATION SYSTEM PROVIDE CUSTOMERS WITH AN OVERALL ENHANCED TRAVELLING EXPERIENCE, PROMOTING MODAL SHIFT AWAY FROM THE PRIVATE CAR. 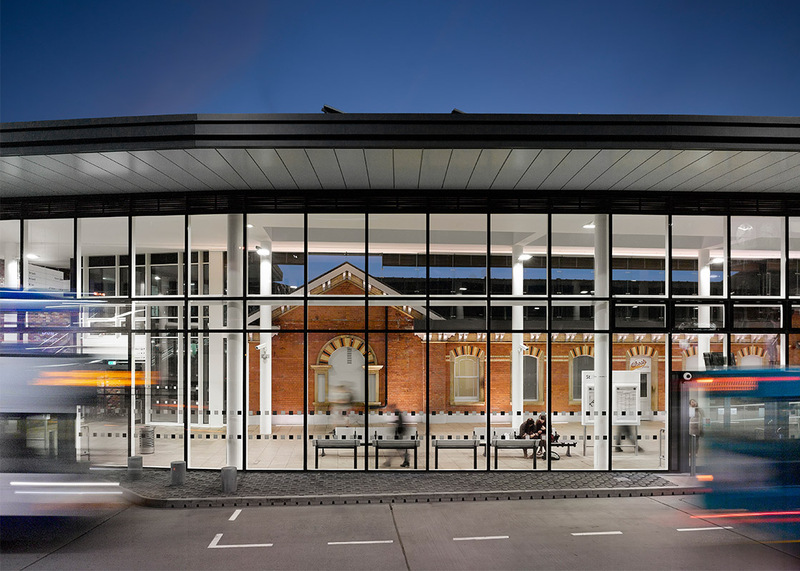 The design of the building carefully incorporates a traditional Victorian booking hall. 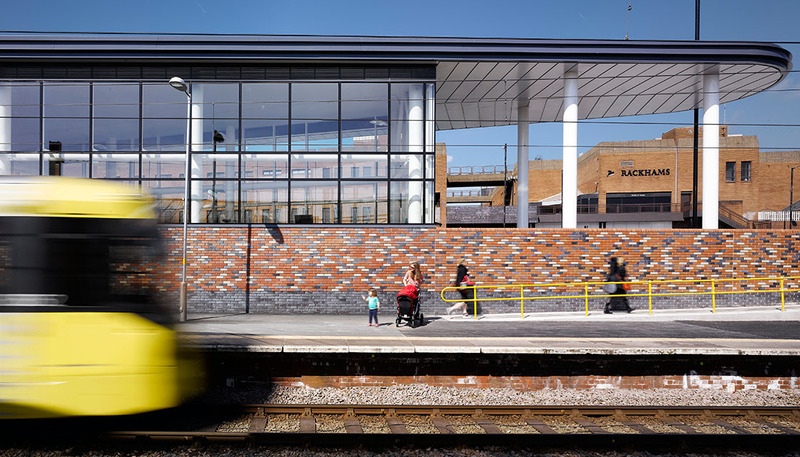 This significant historic structure has been completely refurbished and remains an important part of the fabric of the Altrincham interchange. The concourse runs the full length of the west side of the interchange, creating a gateway between the interchange and the town. The structure is fully glazed, a feature that ‘showcases’ the Victorian heritage of the building. The roof incorporates a large ETFE rooflight to allow natural light into the space and for the interchange’s heritage elements to be illuminated. 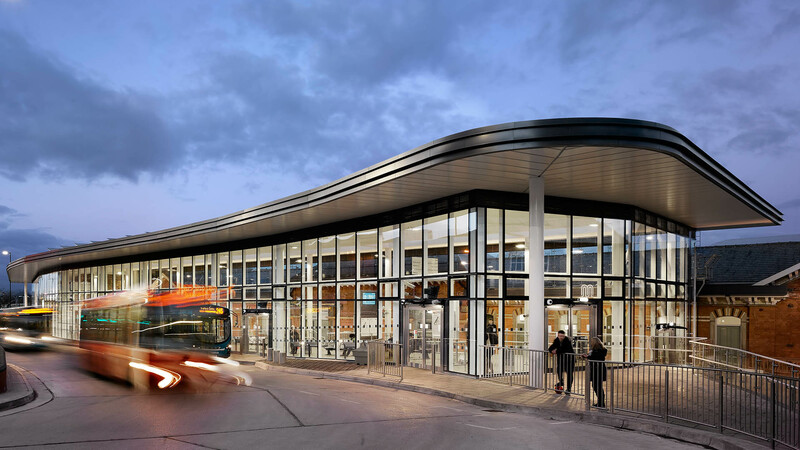 Thermal gain on the bus concourse is controlled by the top 500mm area of the façades that contains a ribbon of fixed louvres and a series of opening lights that will enable it to be ventilated in summer and retain heat in winter. 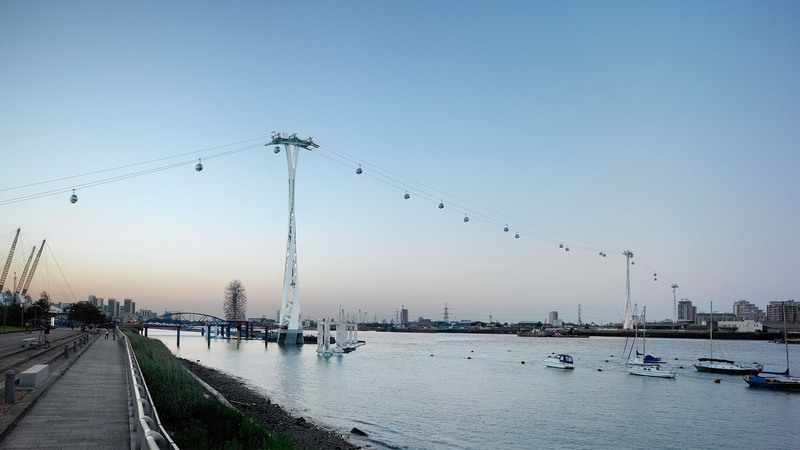 Sustainability was a major factor in the design and the scheme is expecting a final BREEAM rating of ‘Very Good’. The scheme also includes the replacement of a 134 year-old rail bridge that connects all four rail platforms. The new 45t pre-fabricated steel bridge improves accessibility and circulation between bus, train and tram services. The steel bridge was lifted into place in a single evening minimising disruptions to the travelling public. The Interchange opened its doors to the public in December 2014, successfully delivering on its promise of improving integration, accessibility, and passenger information, safety and security.